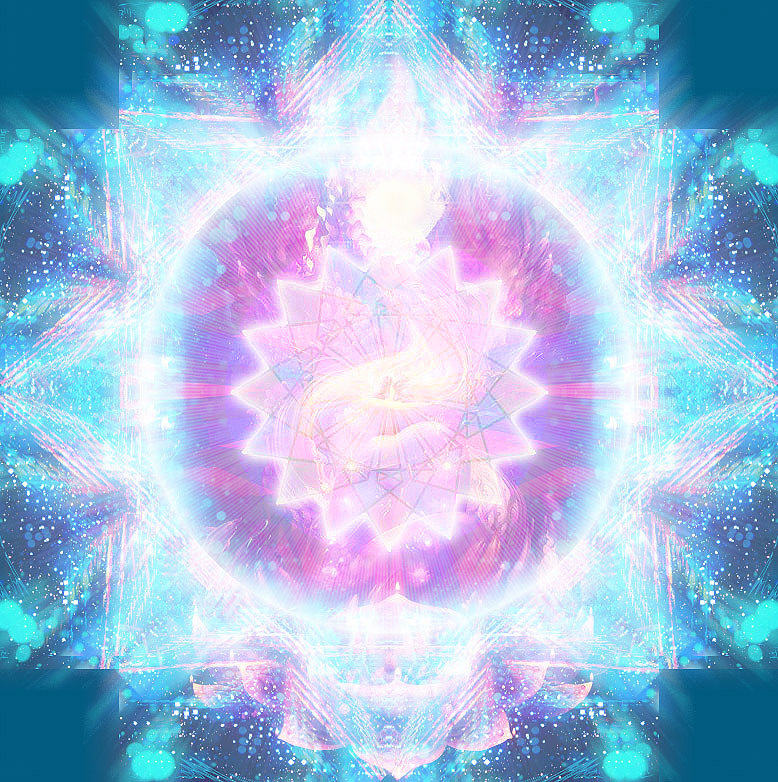 Once you become seasoned on the Ascension path, or as a Starseed person, one will start to recognize that you have the role of being a Spiritual Catalyst for others, whether you want to or not. A Spiritual Catalyst instigates potential awakening or consciousness shifts in the people, places and things that become connected with or exposed to your personal sphere of influence. Sometimes, this may appear to stimulate other people around you into some really strange types of unconscious behaviors, such as spontaneous eruptions of subconscious reactions, transferred projections, acting out in angry impulses from out of nowhere, or our personal favorite here in ES, the dreaded red wave of Victim-Victimizer programming. This is a very surreal, strange and disorienting time on planet earth, to observe what is happening in the larger collective consciousness during a time of deep psycho-spiritual crisis. We may observe how the current events and psychological operations have instigated a lot of mental confusion and chaos, and sometimes, this instigates aggravated fear and violence in the unawake people and 3D based organizations around us. When people's identity are fully enmeshed or connected to a mental position or belief system, taking sides in the polarity of forces, they can become mentally rigid and emotionally dependent on that specific belief system or mental point of view. We refer to this as the bi-wave polarity consciousness, it’s when a person gets stuck in the extremes of one side or another, and staunchly will defend their beliefs, many times at their own expense and even while generating harm to others. As example, the archetypes of Hero/Savior and Enemy are really the same position in the bi-wave of duality and exaggerated by those playing its archetypal game in order to create sides for division. This is the main divide and conquer tactic by the NAA mind control that is used to keep people arguing and killing each other over petty disagreements that are being taken as major offenses. Recent events with the amnesiac barriers dissolving, rises up subconscious contents which for many have been deeply internalized and personalized by people's sense of identity, and they easily take offence or feel hurt or slighted, because their 3D point of view or mental belief system is being threatened in a big way. Sometimes, people in our awakening group, people that have made an effort to discover another alternative for exploration, seeking the larger truth in what is going on in the consciousness of this planet, are perceived as a threat, by those who are desperate to maintain their position in the 3D reality bubble. Being perceived as a threat by those who are still asleep, is a common pattern for many of us here. Over the years, I have tried to be authentic with an accurate and objective way to describe my own experiences of VV programming with people that still allow subconscious fears to gain control over them, the betrayal, accusations and demonization that is endured on this awakening path, from what seems to be mostly instigated from exerting control over the most meaningless and petty topics. What was the most surprising in these past experiences, was that the people that tend to be the most brutal, were supposed to be spiritual peers, colleagues or awakening people that defined themselves as spiritually dedicated. Generally, I have a hard time comprehending the types of things that people get upset about, when our problems on the earth are so much larger, so much more expansive then the myopic point of view that many people have in the 3D arena. With this in mind, remember to be strong when people around you may turn on you suddenly because they perceive you to be threatening in some way. People deeply fear what they do not understand. As awake and aware people, do your best to not let some people's surreal, incoherent and mean behaviors hurt your feelings, as truly many people now are undergoing a type of 3D ego dismantle and spiritual crisis. As a result, they are emotionally unstable, chaotic, confused and prone to lash out with little to no provocation. This triggering of people in the near vicinity does appear to have gone up to another level of intensity recently. Many people are spinning out of control, feeling desperate and confused about what is happening to them, and this can be exacerbated by the unhealed pain body and emotional wounding they still have operating in their subconscious. It is very clear that if you feel this way, the first priority is to build safety for yourself, and to rearrange your lifestyle and thinking in ways that disentangle you from the enhanced stress and chaos that is being broadcast in the general 3D environment. We are purging collective miasmatic levels in the planetary body, and it’s been heavy and dense. For this reason, many of us will notice people in the environment losing their cool, spewing out aggression or anxiety, acting more impulsively, like a high pressure boiler bubbling over and releasing their subconscious brew. When people internalize tremendous stress and buried emotional conflicts, at some point they explode because they need a release from the pressure. As a spiritual catalyst, you may be the tipping point to that explosive release, and though it is not the fun part of this role, it is important to recognize when it’s happening and set healthy boundaries to protect yourself. Sometimes being a spiritual catalyst can be very difficult because the people being triggered rarely see you as you are, but they form an image that they have projected upon you, many times completely false. People that you happen to meet and hold this energetic space for, will tend to use your image or persona that they created in their own mind in a variety of ways in order to suit their own personal issues. Whatever narrative got created in their mind, somehow you have filled an archetypal image in their imaginary storyline, whether it’s true or not, most people do not take the time to verify or discern correctly. This pattern is more prevalent in 3D people that are still asleep to Ascension and are travelling on a different timeline than you are. Blame Game – this is generally associated with being perceived or told that you are a bad or negative person, the other person is blaming you for something that has happened to them or some larger event that you are unaware of. Most of the time, you will not know what that event is or understand how they have reached this conclusion. Nonetheless, somehow they have justified this in their mind in order to transfer the blame of their unhealed emotional conflicts upon you. Escape Artist – this person will suddenly disappear from communication or their responsibilities with you, because for some reason they refuse to talk to you anymore to confront whatever their emotional issue or conflict may be. Maybe they just completely disappear, and you have no idea what has even happened except that they are missing in action for reasons unknown. Victimizer - V-V programming techniques of divide and conquer, triangulation or gossip may start to gain momentum that remains hidden in the family, or group environment. Manipulators tend to use VV tactics, to gain support or power through a person or group, in order to turn them against another person or group, many times without any verified or accurate reasons. People’s unhealed fears allow them to be led into deception by people that spread gossip about things they know nothing about, and then they become complicit in the process of promoting the deceptions. Emotional Manipulator - attempts to create wedges or tension between those people that are bonded or coupled, such as break up happy relationships, friendship or marriage. Manipulators like to direct energy and focus to themselves, and are emotional vampires sucking others dry. In larger context, they break apart unity in organizations. Flip Flopper – this is a person who exhibits unstable and erratic emotional patterns, sometimes they are really open and friendly, other times they are shut down and unfriendly. With this kind of instability one never knows what they’ll get with a person that has many different faces, as the mask is not relative to the situation at hand. Its dependent on their cycling moods. Astral Manipulation – this is when other dimensional forces are spraying out mind control implants to instigate fears, or negative holographic inserts with your image that are sent to the person who deciphers that as astral visions they perceive as accurate. Most people that think they are highly clairvoyant are actually very inaccurate in their perceptions, as higher sensory perception is nearly useless if fear controls your mind. Ticking Time Bomb - the kind of person that is a emotional powder keg, like a ticking time bomb that people in the near vicinity will try to avoid or walk on eggshells, tip toeing around in order to avoid setting them off. These kind of people are very difficult to be in the presence of, even if they appear to be congenial, as one never knows when the other shoe will drop and what may set them off into tantrums at any moment. Huffy-Puffy - some people when under a lot of internalized stress and mental anxiety, can be easily triggered into explosions of sudden frustration, irritability and erractic behavior, and they get angry or upset about some situation that they feel they have to take control over. Such as racing around like the tasmanian devil to save the day from certain destruction, or acting as the martyr towards the perceived offenses of others, cleaning up the mess. Many times their position and choice to be upset in the situation that has triggered them, does not hold any coherent or clear explanation for the real reasons hidden behind their knee jerk reactions. Much ado over nothing. There is a heightened and different quality of these trigger patterns related to spiritually catalyzing people that are existing on different spirals of the different timelines, and being able to perceive the immense chasm that is growing in between these spirals when there are sincere attempts to communicate as harmoniously as possible with others. In the previous cycles, I have found the places to find diplomatic and compassionate conversation to help bridge these gaps in context and perception in order to better harmonize dialogues. In recent observation, when these dialogues or context operate at certain levels of oppositional schism, being able to act as the harmonizing force is getting harder to do as the schism gets wider and wider. The experience lately while facing great opposing spirals of thought and context represented within people is that it is better to conserve energy, go within, be silent, retreat and observe. We must stay strong and sane by remaining neutral and calm, even if we are standing accused of bizarre things we did not do, as unstable people are searching for something or someone to blame for their inner conflicts and problems. These situations can bring up scapegoating, persecution and mob frenzy, as the ego when its dismantling, is desperate to find some answer to blame for the darkness or evils that are becoming much more visible in this world. Please know that this community is dedicated to unification and allowing each and every one of us to be as honest and transparent as possible, as long as the discussion is not designed to intentionally harm, divide or instigate inner violence in the group. This is a good time to rediscover the meaning of nonviolence, and understand that all permutations of the ego position leads to forms of violence - violent emotions, violent thoughts, and this aggression comes from unhealed fear. Fear and inner violence is something that we must all heal inside ourselves. For those enduring attacking behaviors from loved ones because you are in the role as the spiritual catalyst, I am so sorry as I know how much that can really hurt! Many of us here have experienced that pain of isolation, persecution, ostracism and attacking from uninformed and unaware people many times over. You are not alone in this! May our community be a safe space for us to know that here, there will be no violence directed to you or anyone in this group, we do not tolerate division, separation and positions that drive people apart, and we choose to focus on what unites us in true humanity and humility. May we all do the best we can to be kind, and do the best with what we have to work with right now. This is an important topic to view with engaged detachment, and to question ones responsibility in the interaction when there is catalsying activity. At the same time, I feel it is important to understand how these energies work at cross purposes, so that a empathic and loving person is not used as a doormat, because these negative ego forces are inherently parasitic and drain energy quickly. Take good care, and get out that Teflon 12D shield and be aware to not give your trust away to people that are untrustworthy. Many people are emotionally devastated, trying to figure out whats happening to them and these chaotic events are bringing the reality of that shadow to play out on the surface all around us.